For the Gin lover who's tried them all - this is a Gin with a real difference! 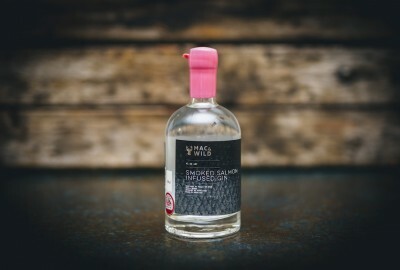 Distilled at the Dunnet Bay Distillery in Caithness, this small batch salmon infused Scottish gin from Mac & Wild features local botanicals such as juniper, rowan berries, sea buckthorn, blaeberries & rose root. This is then elevated further with an infusion of smoked salmon for an invigoratingly fresh and savoury tasting gin. Perfectly served topped with tonic and a lemon twist or in a dry Martini.